This latest flash based storage stick gives all your Lightning port based iOS devices additional space of up to a whopping 256GB. Head on after the jump for further information on this neat little offering. 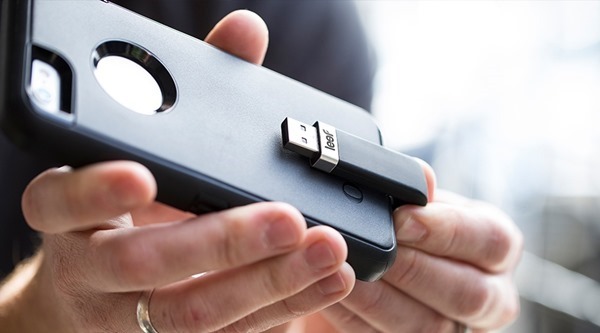 Developed by Leef, a firm that designs and produces unique flash memory based consumer electronic products, the iBRIDGE is the latest offering from the San Francisco based company and is truly poised as a storage wunderkind for everything iOS and Lightning port. 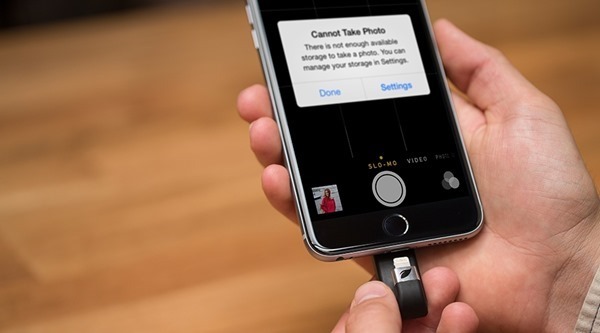 We have seen flash drives before that plug into all the new iPhones and iPads to expand the available storage, but at 256GB, the Leef iBRIDGE offers the highest capacity in the market right now. Leef iBRIDGE however, isn’t exactly that cheap, with the 256GB version coming in at a stellar $399.99 which may sound crazy, but its 256GB of flash based storage we’re talking here. We can be sure that a lot of users will be looking forward to getting an iBRIDGE for some additional storage space, but if the $399.99 tag is still too much for you then do keep in mind that the flash drive is also available in 16GB, 32GB, 64GB, and 128GB storage options, with the 16GB one costing a mere $59.99. 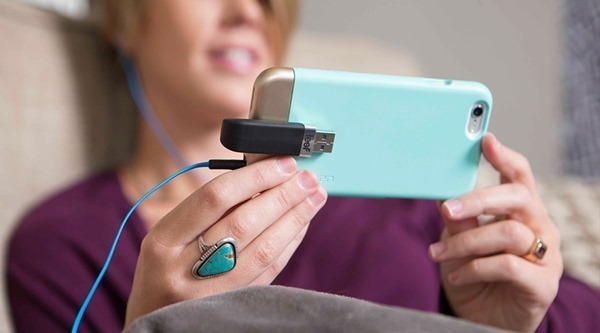 Sporting a unique ‘J’ shaped appearance, the storage stick is neatly adjusted to the back of the device with the Lightning connector folding into the port, thus unlike most flash based storage solutions for iOS devices, the iBRIDGE does not awkwardly stick out. 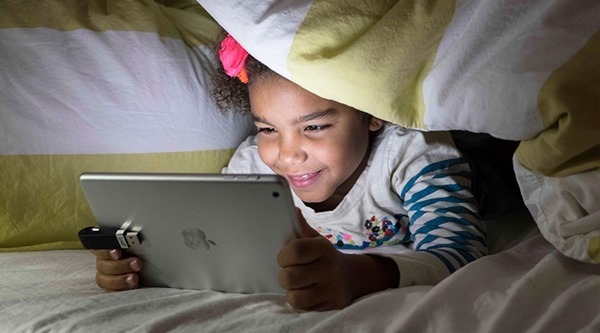 Even better, the storage device also carries a standard hi-speed USB connector at the opposing end, which should allow users to quickly share content onto other platforms such as Windows PCs, Macs, smart TVs and more. iBRIDGE from Leef comes with its own dedicated companion app as well, which allows you to browse through all items on the drive, and if you’re running out of recording space for your photos or videos, iBRIDGE lets you record directly to its storage as well. While the Leef iBRIDGE is truly a great product to have, there are a few more offerings from other manufacturers available as well, but it is the Leef iBRIDGE’s 256GB model which actually stands out from the rest of the crowd with its stellar storage capacity. The only thing I hate about external storage and ios is that you have to open files in the storage manufactures app instead of any default or even other third party apps. And usually manufacturer’s app is not so great experience wise. This is one thing on Android I like better. I know apple will probably never have a file manager on ios for users, but sure would be nice if they allowed files to be read in by any app without creating duplicates. Do you have one? Could I find the storage area with iFile?